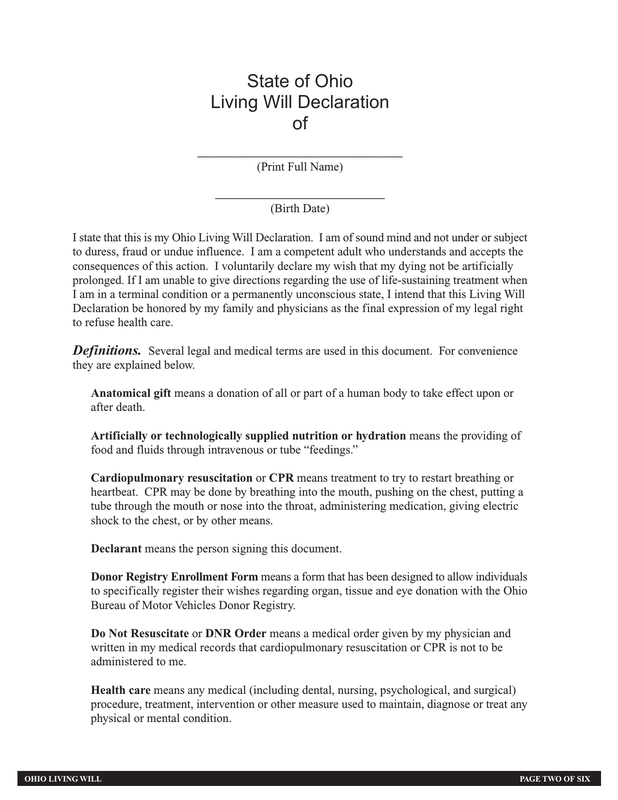 Download this Ohio Advance Directive form in order to specify to your loved ones and healthcare professionals your wishes for end of life care in the event you aer incapacitated and unable to communicate. This form also allows you to designate a trusted friend or relative to make health care decisions for you. In addition, you may specify whether or not you want to donate your organs upon your death.